One97 Communications Limited, that owns the brand Paytm, has announced that it has partnered with Zomato to enable food ordering and delivery service through its mobile app. With this addition, users can now browse their favorite restaurants within the Paytm App and order food instantly. This service is currently live for Delhi-NCR customers on the Paytm Android app and will soon be made available across India and on the Paytm iOS app as well. Paytm has a strong user-base across tier 2 & tier 3 cities who use its services for a wide array of everyday payments. 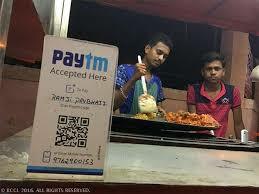 With this integration, Paytm would introduce the convenience of online food ordering to its customers which will further augment the growth through a strong uptake among its large user-base. Food & Beverage is among one of the largest payment categories for Paytm both in terms of volume and number of transactions. Paytm QR is widely accepted across a wide range of outlets including quick-service restaurants to fine dining and casual dining options. This association would further strengthen Paytm’s drive of enabling seamless mobile payments for purchasing food both online & offline. Paytm launches Online Food Ordering in partnership with Zomato 0 out of 5 based on 0 ratings. 0 user reviews.